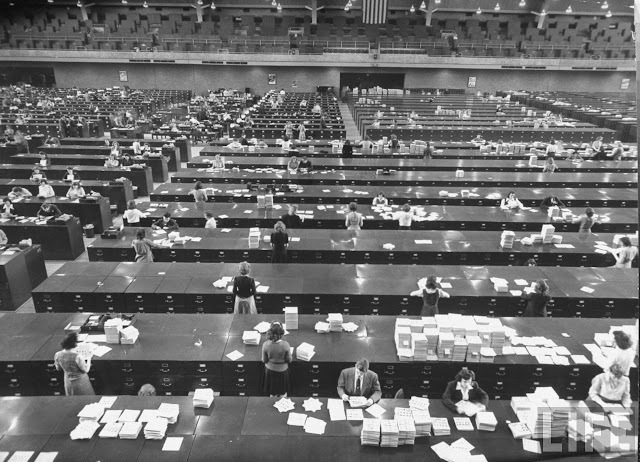 Before the FBI went digital, it looked a little more like a giant stock warehouse for Amazon.com. 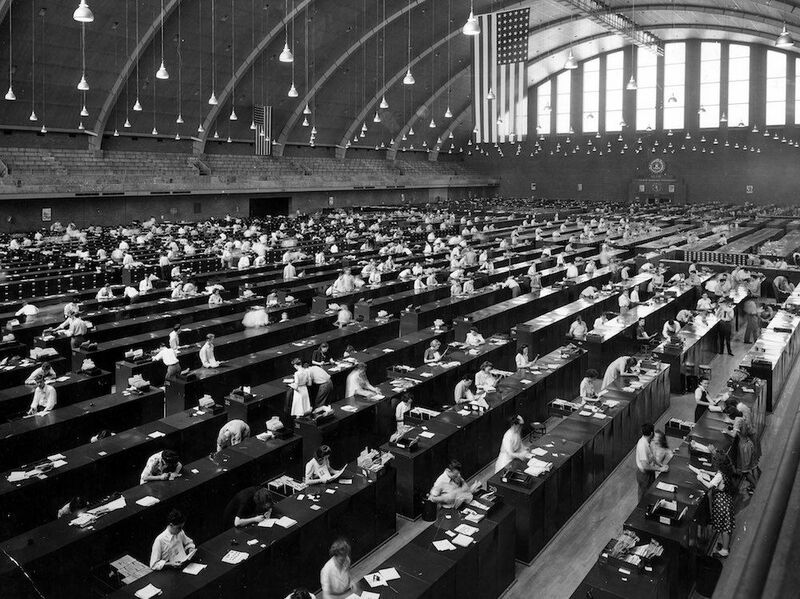 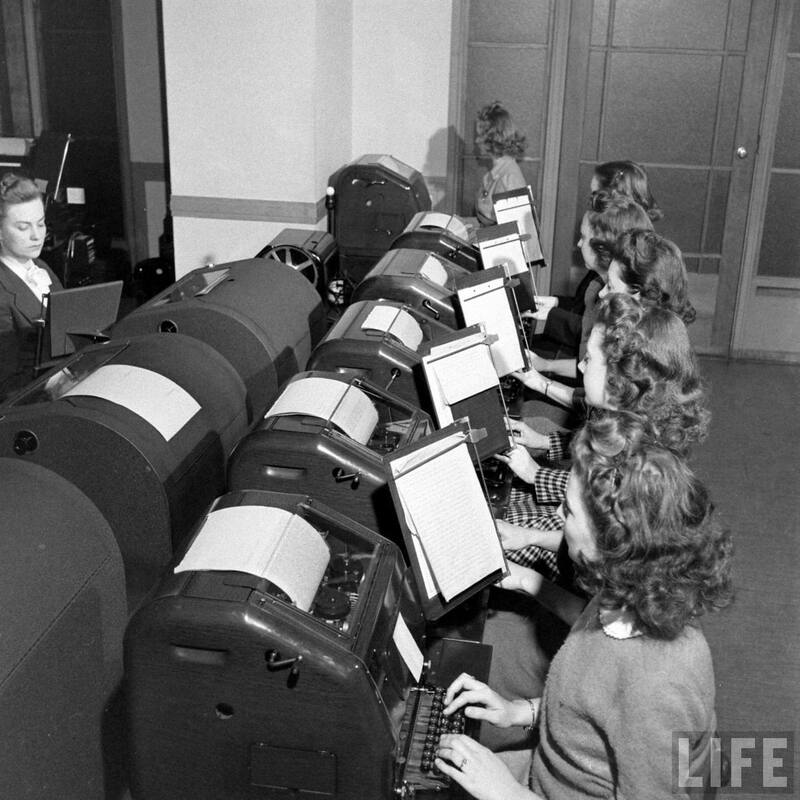 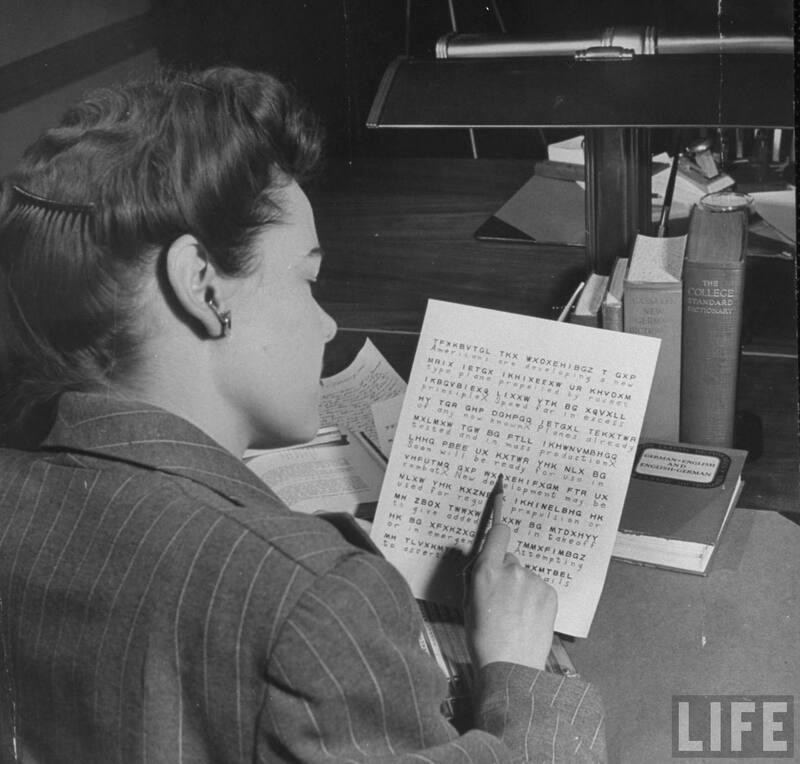 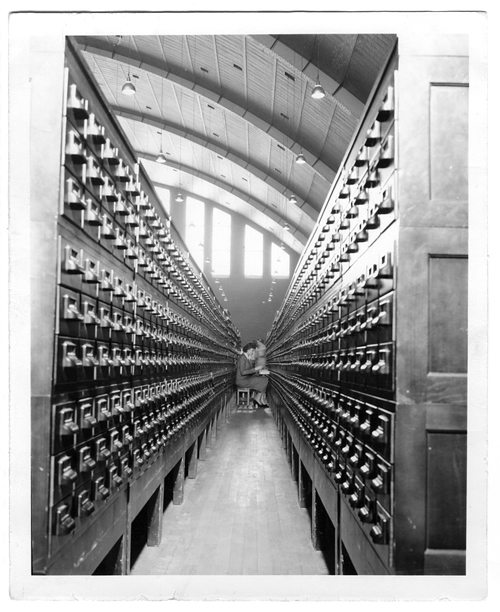 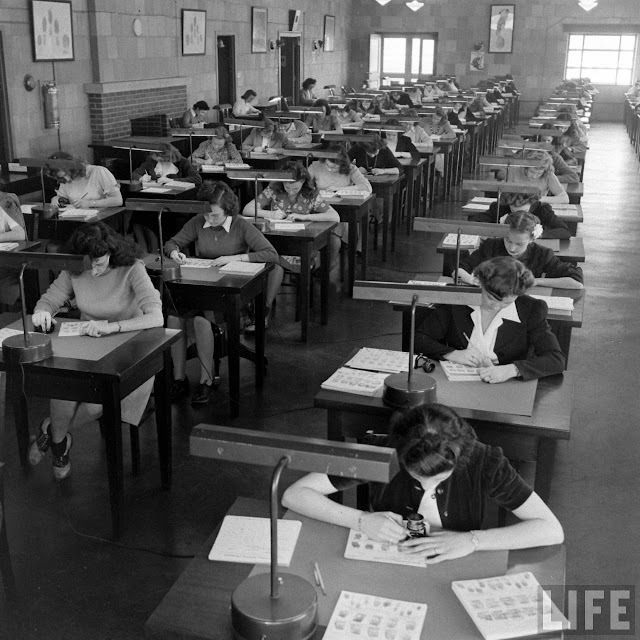 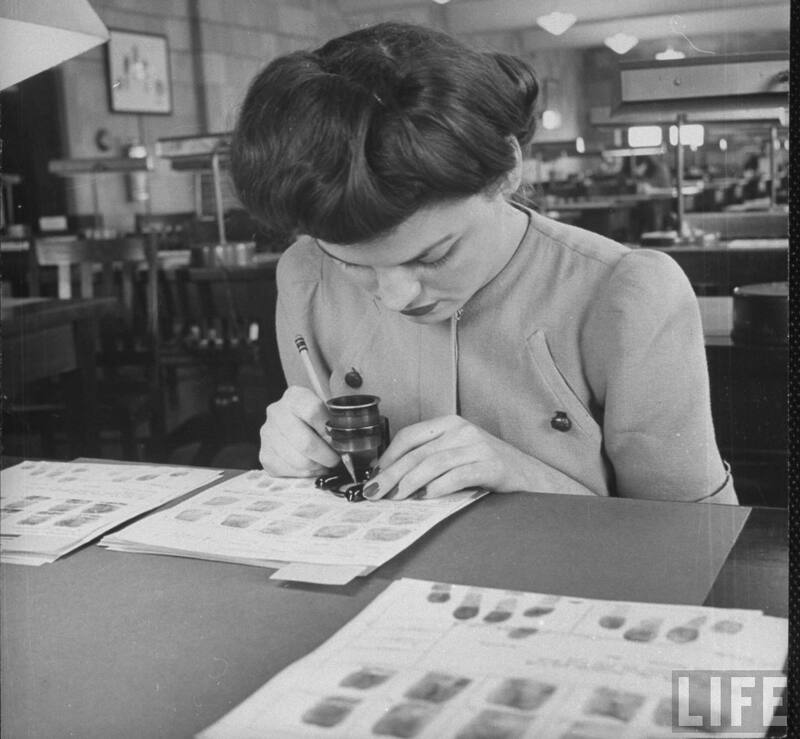 In the 1920s, the bureau was only employing 25 workers to classify around 800,000 print cards, but by 1943, there were more than 20,000 employees sorting through 70 million fingerprints. 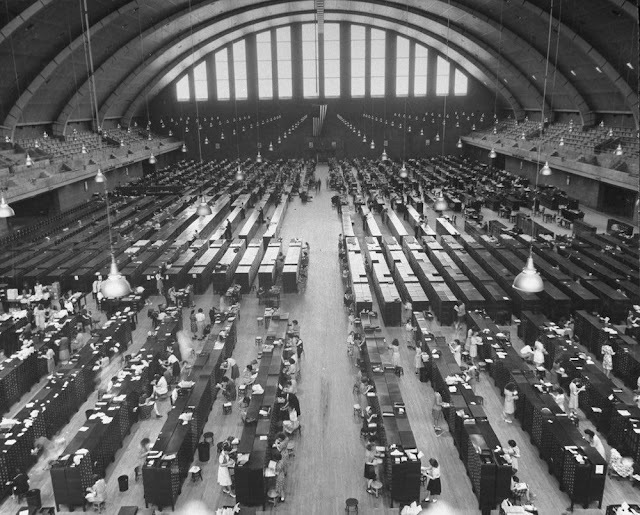 At the height of wartime, the archives were so overwhelmed that the FBI eventually moved into an 8,000 square foot facility in the National Guard Armory in Washington D.C. 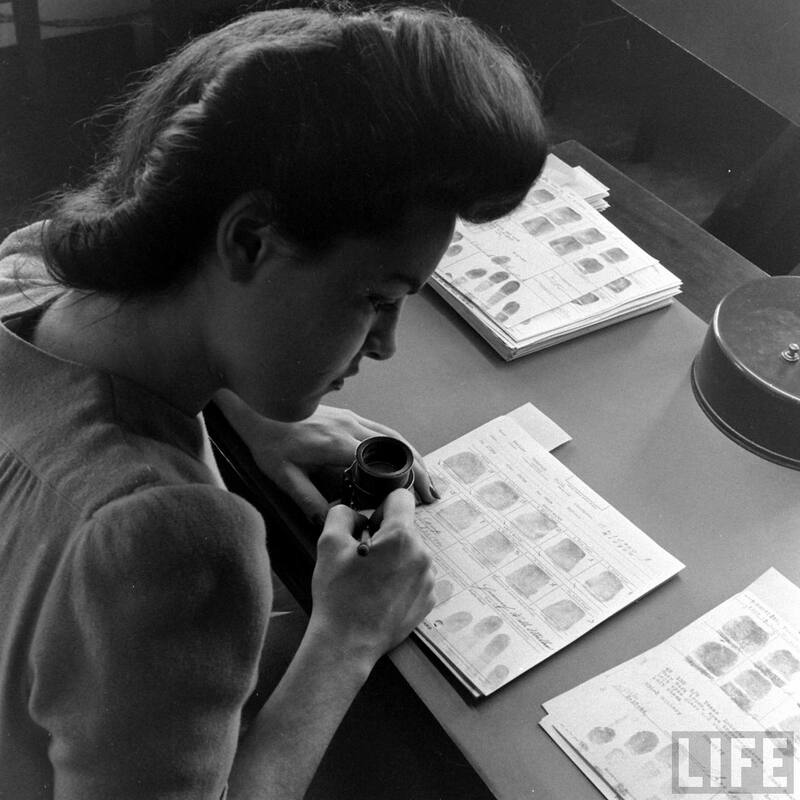 They called it the Fingerprint Factory. 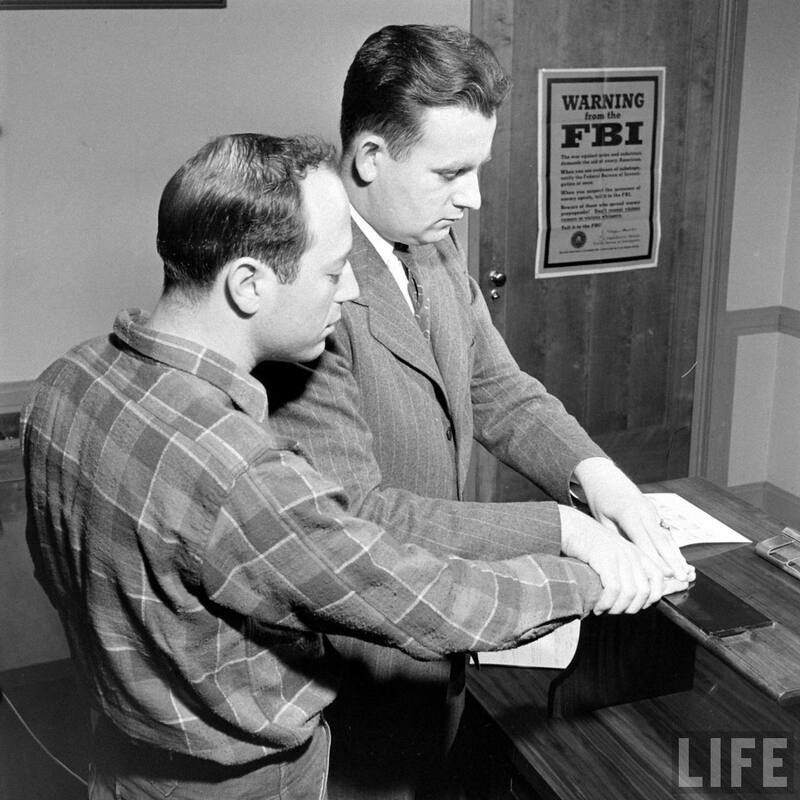 With the war came new responsibilities for the FBI. No longer was it only investigating domestic crimes committed in the United States, the bureau was now tracking suspected spies, gathering information abroad, pursuing draft dodgers, tracking immigrants and even their own personnel who could be potential saboteurs. 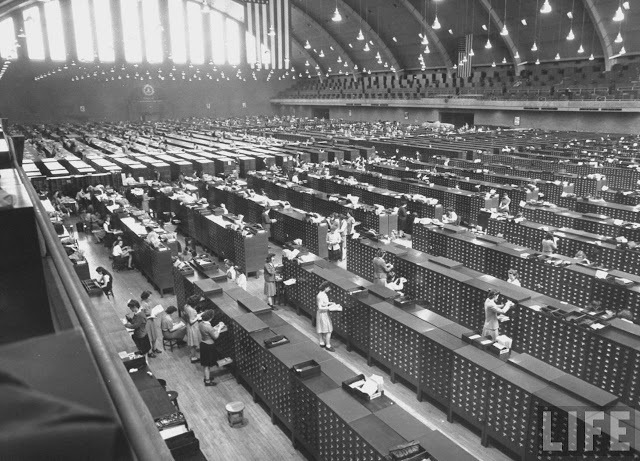 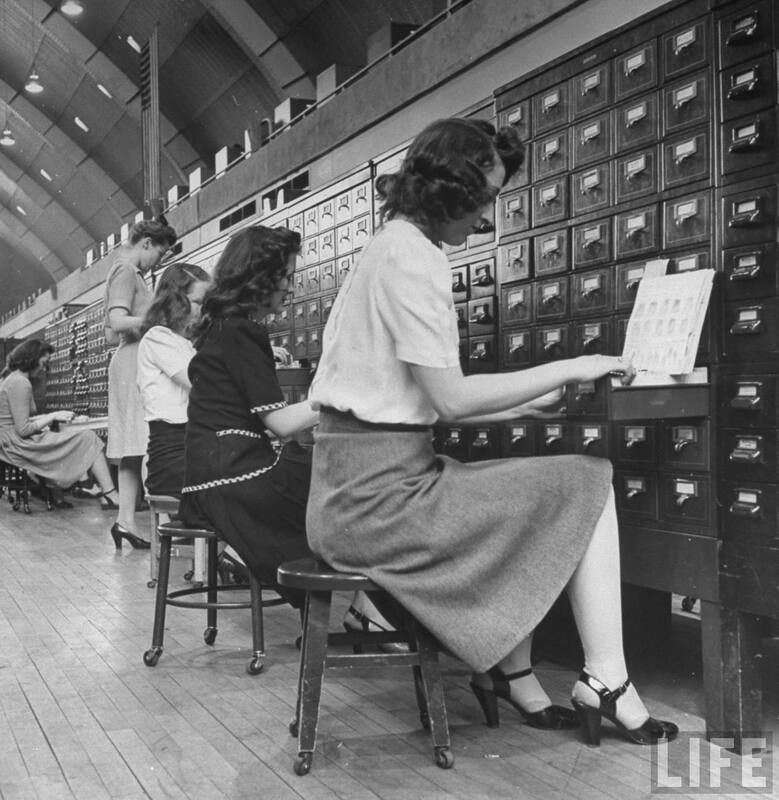 There were fingerprint cards for members of the armed forces, US foreign agents, war-material manufacturers and even all the government girls who were working amongst the labyrinthine archive of cards themselves. Everyone needed background checks. 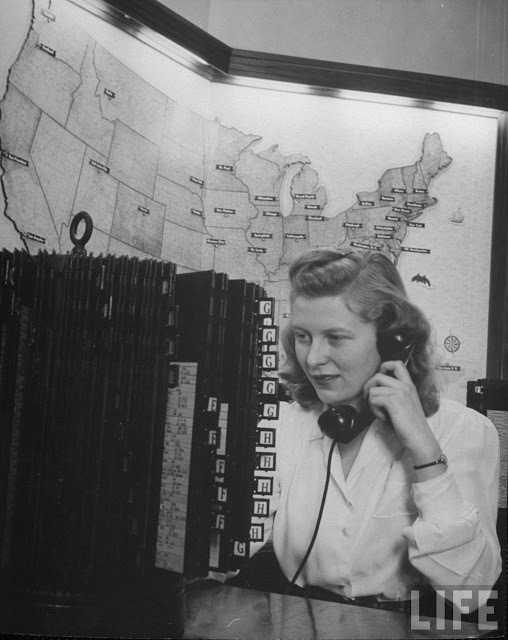 Agents looked into nearly 20,000 reports of sabotage during the war, of which they found 2,282 actual attempts. 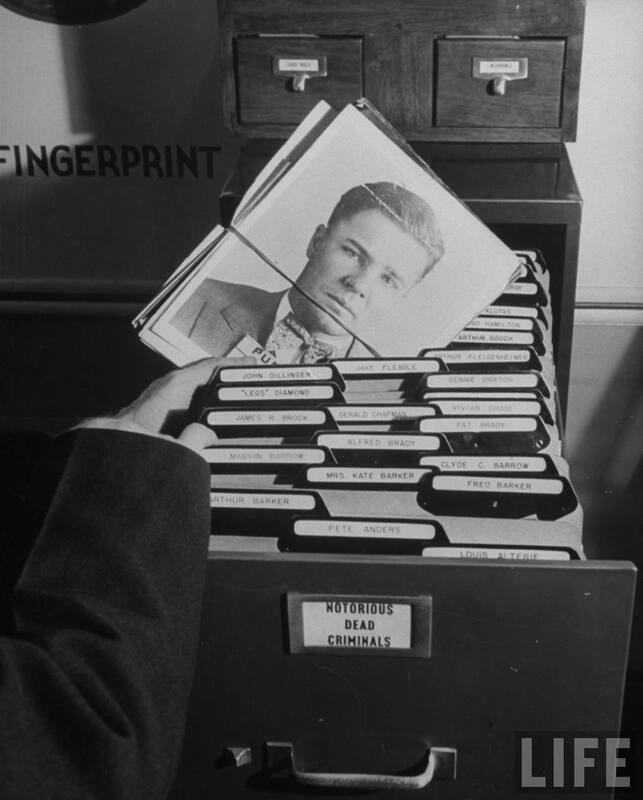 1 response to "Inside the FBI’s Colossal Fingerprint Factory"